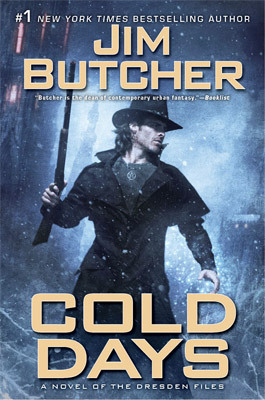 This entry was posted in Dresden Files and tagged book reviews, books, Dresden Files, fantasy, Jim Butcher, series, urban fantasy. Bookmark the permalink. Your reviews always make me laugh! They are so enjoyable. Of course, I’ve read all the books and have to hearty agree with you about, well, pretty much everything. Thanks for linking to all your reviews. They do come in handy. I have wanted to read these but never really knew where to start, so thank you! And also I heart your reviews!! Keep em coming & good luck on NaNo! Starting the series with 9 or so books completed was daunting for me so I can imagine that trying to start a series containing a baker’s dozen worth of books, with no end yet in sight, is a bit intimidating! But they really are super fast reads and Harry & Company are great friends once you get to know them! Plus, I guarantee that you’ll LOVE Harry’s snark!